More Fiat trucks for Ram? The Iveco Eurocargo is under consideration for the Ram brand. After saying last month it was looking to sell Class 8 heavy-duty tractor-trailers, Chrysler Group's fledgling Ram truck brand now may sell Class 6 and 7 trucks from Fiat's Iveco subsidiary as Rams in the United States, say industry sources in Italy. 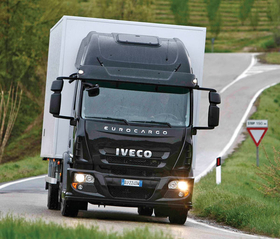 One model under consideration is the Iveco Eurocargo. If Chrysler adds medium- and heavy-duty trucks, only some Ram brand dealers would sell and service them.